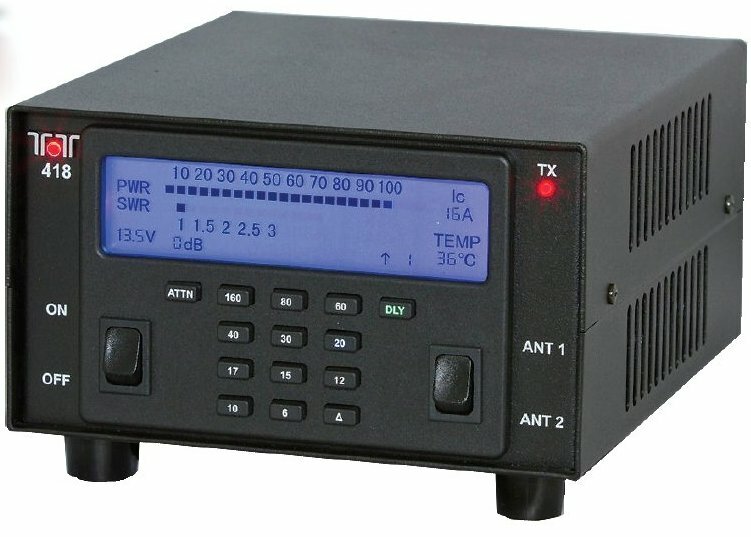 Along with the newly released specs of the Ten-Tec Model 539 Argonaut VI transceiver, Ten-Tec has kindly provided QRPer with a spec sheet of their new Model 418 100 watt solid-state linear amplifier. Ten-Tec will announce the price of the Model 418 at the Dayton Hamvention this Thursday. We look forward to that, and once announced, will be sure to post it here, same day. The upshot: If priced competitively, the Model 418 is basically a little box that can turn your Argonaut V, Argonaut VI, Yaesu FT-817, Icom IC-703, Ten-Tec Cub, Elecraft K1, K2/10, K3/10, KX3, Index Labs QRP+, or most any other QRP radio on the market into a 100 watt rig. It appears to be truly plug-and-play, too, with auto band switching. In my case, for example, this would be a very useful product. Though I primarily operate QRP, I do on occasion like a shot of extra power, such as when conditions are bad or I’m trying to bust through a particularly heavy pile-up. I rarely–if ever–run more than QRP when operating portable, though. The Model 418 could plug into my K2/10 while in the shack, and I could pump up the wattage as needed. It would also work with any future QRP rigs I may buy. When operating Field Day with my club, I could take the K2 and ‘418, which would give me a 100W transceiver without adding the 100W module to the K2, thus keeping the K2 lighter for my portable operations outside of Field Day. Yep, as you’ve guessed, I want one already…! Again–just to be clear–this is not idle speculation; the facts I’ve posted above, including the spec sheet, came directly from Ten-Tec today. We appreciate that Ten-Tec has provided us with the spec sheets for the Model 539 and the Model 418 prior to the Dayton Hamvention, exclusively for QRPer readers. Thanks, fellas! This entry was posted in Announcements, News, Product Announcements, QRP and tagged Model 418 Photos, QRP Amplifier, Ten Tec Product Announcements, Ten-Tec, Ten-Tec Model 418, Ten-Tec Model 418 100 Watt Amplifier, Ten-Tec Model 418 Features, Ten-Tec Model 418 Photos, Ten-Tec Model 418 Specifications Sheet, Ten-Tec QRP. Bookmark the permalink. I was wondering if anybody had success interfacing the Tentec 418 to the FT 817. I would really like to use the full features of the 418 via the ACC plug.